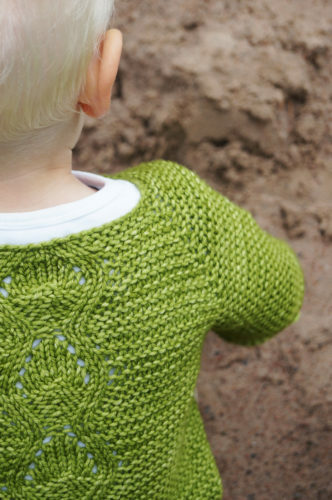 Sharpen your needles for this fun top-down cardigan – easy garter stitch mixed up with a lovely surprise on the back! Speciell means “special” in Swedish. Perfect for playtime in the park and chilly evenings! Yay! Ett nytt mönster är klart! Koftan Speciell finns nu på Ravelry i storlekarna nyfödd till 10 år. 🙂 Kan köpas direkt med knappen ovan! Yay! A new pattern is edited and finished! The cardigan Speciell is now available on Ravelry in sizes newborn through 10 years. 🙂 Can be purchased directly with the button above!